How to scroll a layer with touch? How can I scroll a layer or change camera position for a layer with touch? I’m making an app for android. I’ve tried to scroll with a scroll bar. But it’s not easy to touch that scroll bar and also scrolling was not normal. 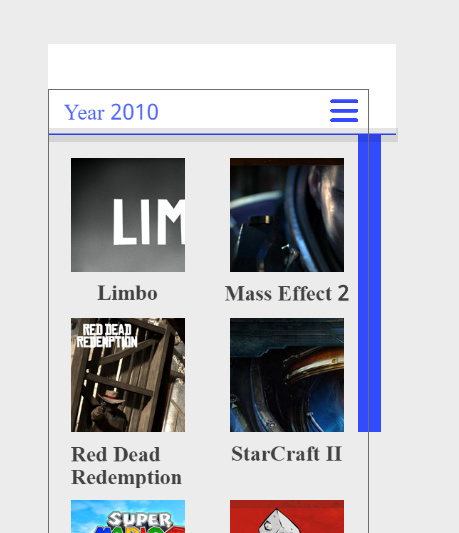 Not sure what is the best way to implement a scroll bar, but since it is for mobile, you could simply drag and move the camera up and down. Take a look at the “Drag camera with mouse” example included with GDevelop. The only thing you need to do is to remove the events to drag camera on the X axis and drag it on the Y axis only and you also want to add a limit to stop when you get to the bottom and top of the content. Oh, I saw that example once. But I forgot. Thanks.